Mother's Day is Sunday (ahem) and if you're anything like me, you'd love a gift certificate for a manicure & pedicure. 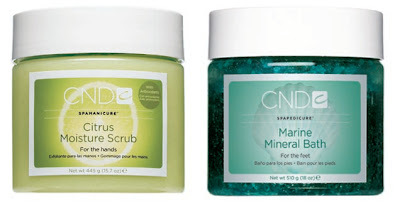 Give her the honor of a great manicure and pedicure from a quality salon with quality products like the following from CND! Now, the best way to find a CND certified salon is through the CND website. 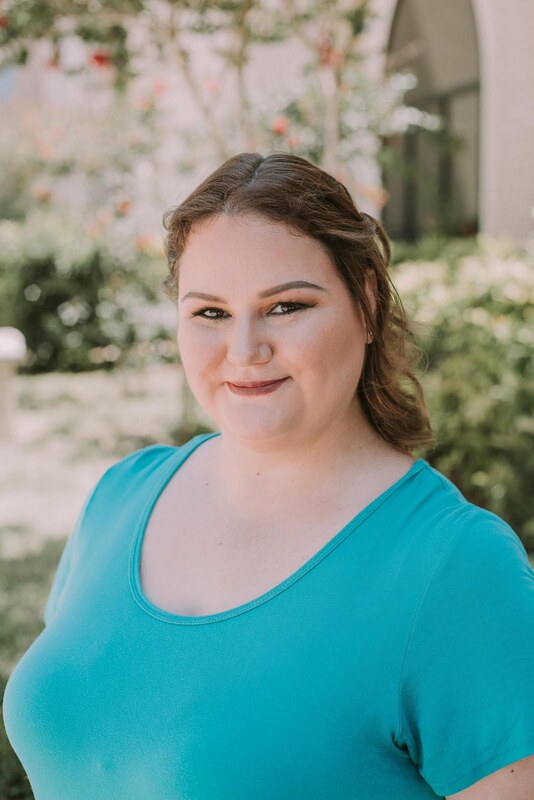 It's important that the salon location that says they have Shellac is actually using all the proper products, tools and procedures to make sure you get all the benefits of the CND services. You may remember that I reviewed a local salon that uses Shellac, and I know that they are using all the proper tools but they haven't been CND cetified yet (working on it). 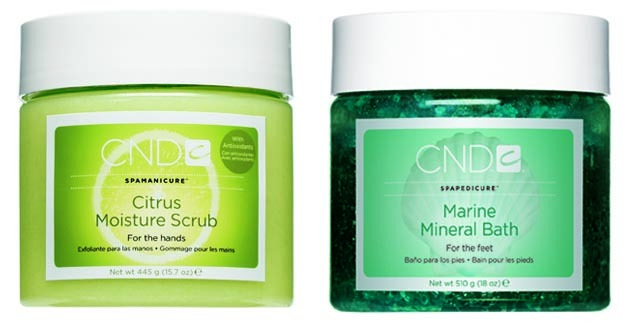 Start out with the CND Citrus SpaManicure to exfoliate, refine and moisturize the hands leaving them silky smooth for days and follow with the CND Marine SpaPedicure, a conditioning ocean-inspired bled. Then follow it up with Shellac! New to summer are four bright colors. Not a fan of the brights? There are 51 other CND Shellac colors and remember, you can always layer shades for a custom look. One coat of Purple Purple and one coat of Moonlight & Roses which resulted in a nice lilac shade. Two coats of Hollywood, a pretty red, with a top coat of Mother of Pearl, a light holographic scattered glitter, much like China Glaze Fairy Dust for a scattered holo red. My own "Bridezillionaire": pre-designed "rock-n-roll darks" of Rock Royalty with Iced Coral. This results in a purple base with a blue to green shift shimmer. Then I had a layer of the Zillionaire added for some glitz. The combinations are endless. Not to mention 14 days wear, mirror-shine and zero dry time. Go one step further and give her a follow up appointment so she can have her Shellac safely removed by a professional and try out another combination! Happy Mother's Day! Sounds like great polish brand :) I love having many choices of shades. This is actually a professional only gel but they do have lots of shades! Thank you for following!